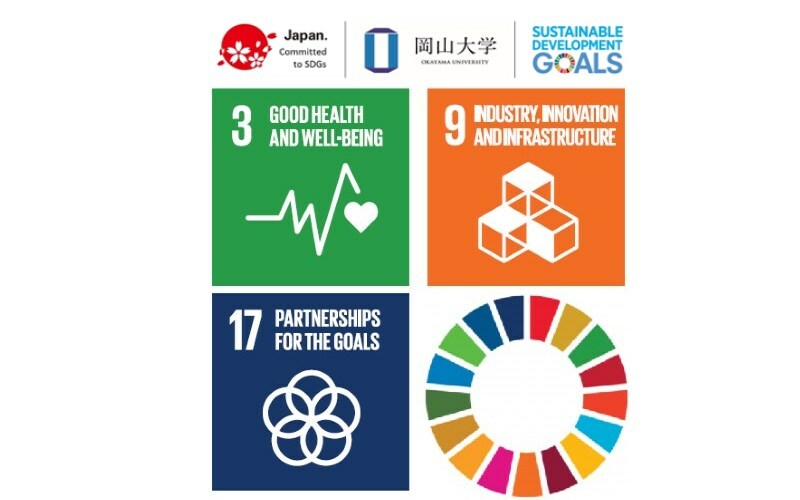 (Okayama, 25 September) Okayama University researchers report in Biochemical and Biophysical Research Communications that the anti-cancer drug cetuximab is released with vesicles from cancer cells, findings that may enable the development of strategies to improve the effectiveness of cetuximab for treating head and neck cancer. Head and neck squamous cell carcinoma (HNSCC) is a type of cancer derived from specific kinds of cells: squamous cells in the mouth, nose, and throat. An important signaling pathway that promotes the survival and growth of these cancer cells is initiated by the protein EGF when it binds to its receptor EGFR. Research has shown that risk factors for HNSCC such as cigarette smoking, can increase the secretion of EGF and in turn simulate this pathway. Cetuximab is a monoclonal antibody acting against EGFR that is widely used to treat HNSCC. This means that cetuximab binds to EGFR with greater affinity than EGF but will not let the subsequent pathway to function. However, recently, the emergence of resistance to cetuximab has been discovered but its mechanism is not clear. The prime feature of oral squamous cell carcinoma (OSCC) cells is their ability to secrete different sized extracellular vesicles (EVs)— fluid-filled sacs containing a variety of cellular constituents. When EVs comprise of EGFR they are referred to as EGFR-EVs. Another feature of OSCC cells is their ability to undergo an epithelial to mesenchymal transition (EMT), which gives these cells the enhanced mobility that cancer cells require to migrate and invade healthy tissues. Here, Assistant Professor Takanori Eguchi and colleagues report on their study to understand the effects of cetuximab on all these features of OSCC when induced by EGF. The researchers first looked at effects of cetuximab on EGF-driven EMT in OSCC cells by analyzing markers of EMT. Their results showed that while EGF binding resulted in EMT initiation, only a partial suppression of EMT was observed after cetuximab treatment. Next, the effects of EGF and cetuximab on the secretion of EGFR-EVs were investigated. Using sophisticated microscopy techniques, the team studied the structure and components of the EVs. While EGF increased this secretion, cetuximab did not reduce it even partially but rather promoted EGFR-EV secretion. In fact, high levels of secreted EFGR-EVs were seen when co-stimulation with EGF and cetuximab carried out. If EGFR levels are increased in the vesicles, it makes sense that they are found in smaller amounts inside the cell, suggesting that this is a method by which cells clear excess EGFR out. Based on this interpretation of their findings, the researchers then studied if the secreted EGFR-EVs contained cetuximab. Indeed, Western blot analysis of carefully prepared EVs revealed the presence of cetuximab, suggesting the possible mechanism by which OSCC cells get rid of cetuximab and develop resistance to its effects. Lastly, to check that genetic alterations in the cell line used were not responsible for the results the researchers investigated the panel of genes present but did not find any major aberrations. The researchers conclude that “OSCC derived EVs trigger the secretion of a molecularly targeted antibody drug cetuximab, whose secretion could be a novel mechanism underlying antibody drug resistance in OSCC”. Preventing this secretion might be a promising strategy in reducing cetuximab resistance, thereby increasing its effectiveness against HNSCC. Receptors, such as EGFR, are proteins found on the cell surface or inside the cell. Receptors are usually activated when ligands such as proteins and chemicals bind to them. Upon activation, a chemical change usually ensues, followed by a cellular response. For example, when EGF binds EGFR, it results in dimerization of EGFR, followed by activation of signals inside the cell that are ultimately responsible for the cancer cell proliferation. Antibodies are proteins usually produced in the plasma of organisms in response to foreign pathogens or antigens. Antibodies can neutralize pathogens by recognizing and binding to specific proteins on the pathogen. An extension of this concept is used in the production of monoclonal antibodies such as cetuximab. Monoclonal antibodies against a specific protein are usually produced and derived from animals. In this case, EGFR was the protein used to generate cetuximab, the antibody that can bind and neutralize it. Monoclonal antibodies are highly specific in nature. Squamous cells are flat cells found primarily in the outer layer of the skin and some inner linings such as in the tongue, oral mucosa, and throat. Squamous cells can be classified as epithelial cells, the epithelium being the layer that forms the surface of the body. EMT is a cellular phenomenon by which epithelial cells switch to the shape and characteristic of mesenchymal cells; those that can be transformed into a variety of different cells. EMT is therefore a process that pre-cancer cells such as in OSCC cells undergo, to migrate and attack non-cancerous cells. Toshifumi Fujiwara, Takanori Eguchi, Chiharu Sogawa, Kisho Ono, Jun Murakami, Soichiro Ibaragi, Jun-ichi Asaumi, Kuniaki Okamoto, Stuart K. Calderwood, Ken-ichi Kozaki. Anti-EGFR antibody cetuximab is secreted by oral squamous cell carcinoma and alters EGF-driven mesenchymal transition. Biochemical and Biophysical Research Communication, 2018 Sep 10;503(3):1267-1272. 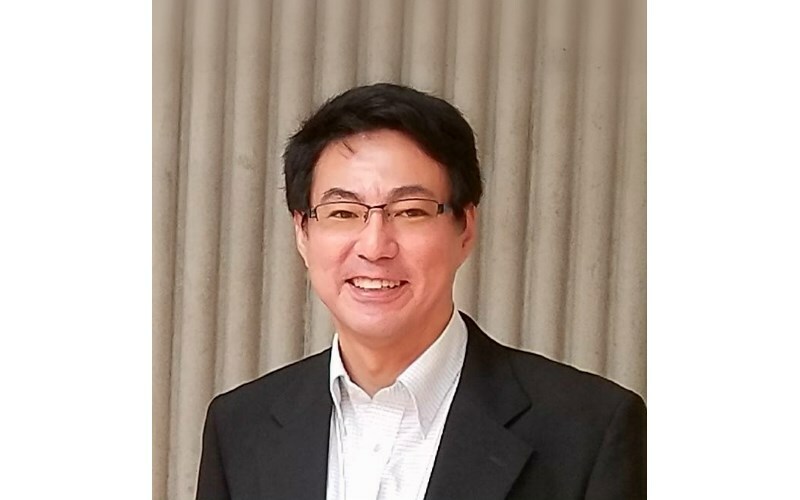 Assistant Professor Takanori Eguchi, D.D.S., Ph.D. When EGF attaches to EGFR in OSCC cells, secretion of EGFR-EV and activation of EMT (illustrated as red diamonds), are seen (left). 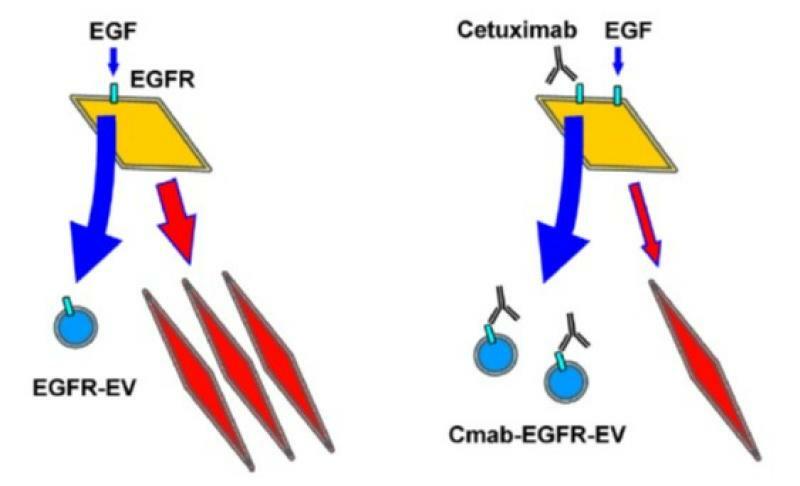 However, the effects of cetuximab on EGF-driven cells led to increased EGFR-EVs, which also contained cetuximab (Cmab-EGFR-EV), along with a partial suppression of EMT (right).